I am posting a link to Mrs. Patton's Patch. She wrote a blog post on how she organizes her math materials and space. Enjoy the link. Feel free to post your own math organization tips and tricks in the comments. I have a new one for you today! This game is one I teach the kids how to play during the first weeks of school. This card game helps to reinforce addition and subtractions skills. You can download this recording sheet for free. Laminate for repeated use. Have the highest total after 20 rounds. 1. Shuffle a deck of cards, place in pile, face down. Use only numbers 2-10. You can use the face cards, just assign a number value to them. For example... Jack is 11 Queen is 12 King is 13 and Ace is 14 or 1. 2. 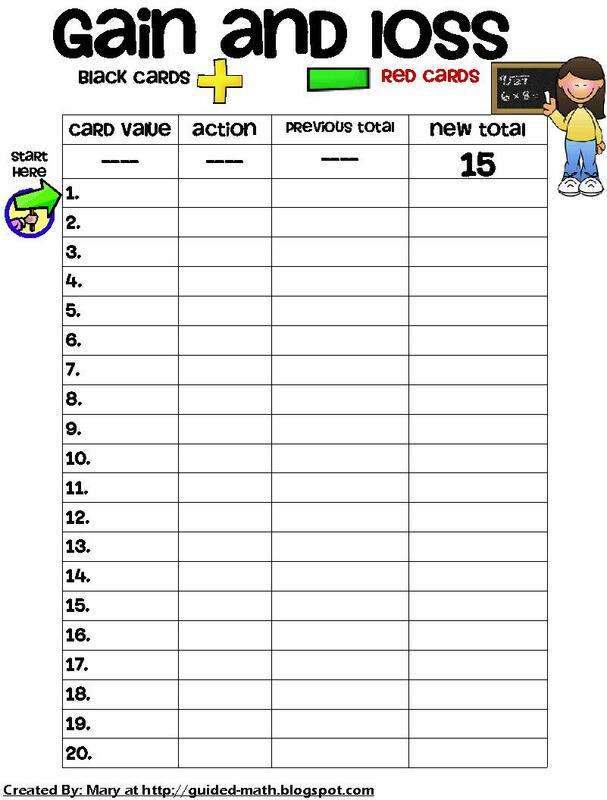 Each student needs his or her own recording sheet. 3. Each player automatically starts with 15 pts. Players take turns drawing one card at a time. They add or subtract depending on what card they draw. 5. Students continue taking turns drawing one card at a time, recording their card, and adding or subtracting. If the pile of cards runs out, shuffle and put back into stack. 6. At the end of 20 rounds, the person with the highest total wins! I introduced this game this week and in just two days it has become a new favorite. This game has also been called The Game of Pig. As I was teaching my kids how to play I told them it was kind of like Snake but like Baby Snake and from there on the name stuck. 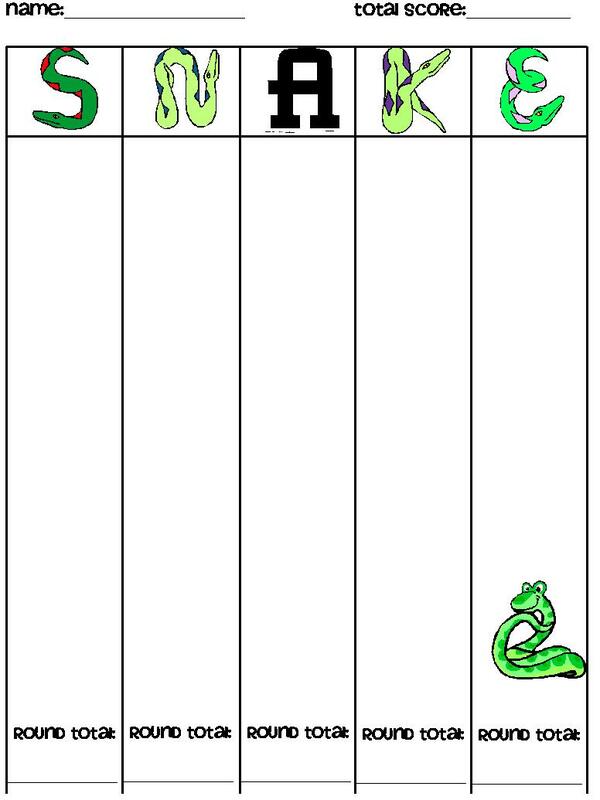 Baby Snake is an adaptation of the whole class game SNAKE. You can use this game for your math game station. If works well with small groups or partners. 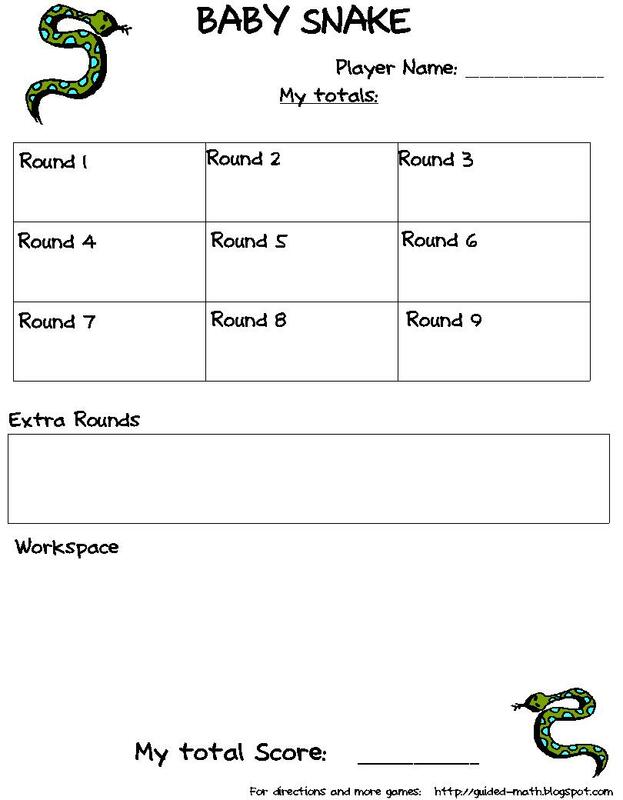 Students can also use a piece of paper or whiteboard to write down totals. You can copy and laminate for repeated use. Be the first person to reach 100 points or more. 1. Each student takes a turn rolling the dice. Player 1 may roll the dice as many times as he or she wants, mentally keeping a running total of the sums. Players decide when they want to stop rolling the dice. 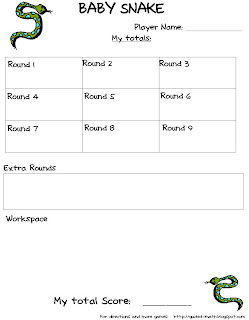 When the player stops rolling, he or she records the total and adds it to the score from previous rounds. 2. BUT... if a 1 comes up on one of the dice before the player stops rolling, the player will score a 0 for that round and play continues to the next player. 3. BUT... if two 1's come up, (snake eyes), the player loses ALL their points they have accumulated so far, they wipe out all their points to 0! 4. Players keep on taking turns. The first player to reach 100 or more wins the game. I read about this game on the internet some years back. 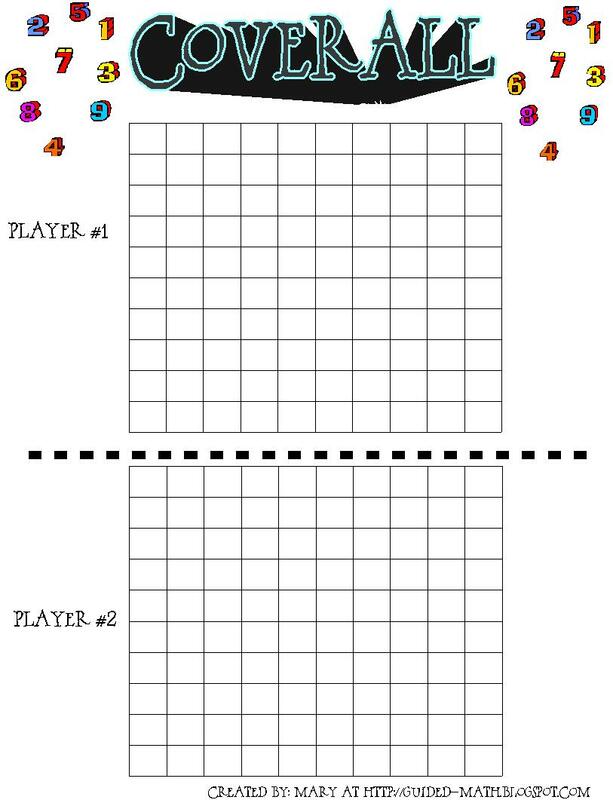 It is a dice game that can help teach basic addition or multiplication facts. My class just played it yesterday and were begging to play another round at the end of each game. You can also use this website and display on your t.v. Students can create a game board. You can download the template below that I have created or I have students just use a piece of paper, sometimes a whiteboard to keep track. 1. 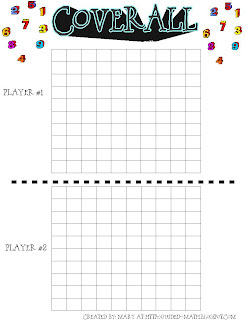 Choose what game you are going to play; multiplication or addition. 2. You start under the column S. Roll the dice. 3. 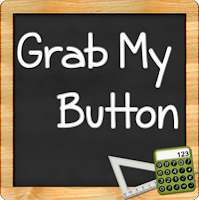 Students will add or multiply the two numbers. They write the sum or product under the S column. 4. Continue to roll the dice. Students continue to write the sum/product under the S column. 6. The round ends whenever you roll a single 1 on the die. 7. Any student who is sitting out, when you roll a 1, may keep their points for that round. Any student still in the game has to cross out all their points for that round. 8. If you happen to roll SNAKE EYES two 1's. Any students still in the game loses points from ALL the rounds! 9. All students come back into the game for the next round. For the second round you start in the N column, third round A column, each round a new column. You continue to play this way for each round. You never know when that 1 will be rolled, second toss or tenth toss! It is a game of odds! 10. 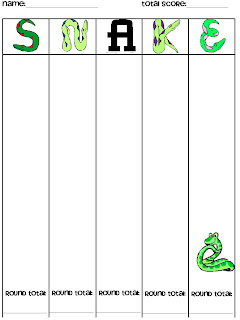 At the end of the game students will count up all the points they have collected from all the rounds they earned points. The student with the highest point total wins! *Note- sometimes you might roll a 1 for the first roll of the round. I always re-roll so at least we have something to go by for that round. Click on each of the tabs above to read more about that topic. A few years ago I started my first blog, just an everyday rambling of what I was doing as a teacher. Sharing my insights, lessons, and what was working for me. 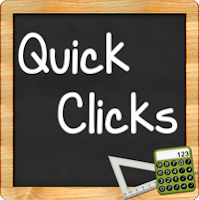 One day I happened to post about how I teach math- the guided math way. 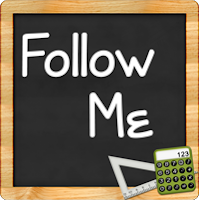 As I taught more, I posted more on guided math and pretty soon I found that the Guided Math movement was catching on. I still learn each and everyday, that some things may work for your class and some things might not. There is no right way or wrong way to Guided Math, you have to do what works for you and your students; modify, accommodate, and support your needs. My hopes are that this website will help guide you towards the right direction and make the task of starting seem less daunting. As a child I truly struggled with math. I HATED math, couldn't understand it, was never good at it. Oddly, now that I am a teacher, math is one of my favorite subjects to teach. I started my teaching career teaching splits. I did a 1/2 split for two years followed by a 2/3 split for two years. The first year I taught I nearly had a breakdown. I was running back and forth between two grades. Teach a mini lesson to one group, get them working on their independent practice, run over the other grade, teach them, get them settled, go back to the other group, help them, run back to the other group. It was back and forth for over an hour. It was exhausting! When I knew I was going back to a 1/2 split the next year, in 2003, I had to search for a different, more effective way to teach math. After searching the internet I came across some teachers talking about math groups. Just a little mention of meeting kids in groups, no information, no guidance, just two little words; math groups. At the time there were no professional development books for Guided Math. I took that little singular idea, the two words I read and made it into what I do today. 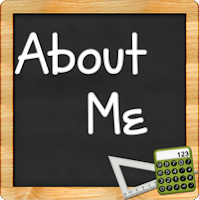 Even when I moved to a singular grade, I couldn't go back to teaching math whole group. The benefits of meeting with small groups are numerous. I really get to see if each student is understanding the lesson each day. Students cannot hide amongst the crowd. In a small group I am able to very quickly pick up on who gets it and who doesn't. My groups can be tailored to needs and I can do as basic or as challenging of a review/lesson. I find that today my practice is still evolving. I do what I feel is best for my students. I use the basic structure of math stations but work it so my students are receiving the support they need.